Thanks to all the volunteers who joined us in the fight! We've been working hard to get out the vote in support of Judge Brian Hagedorn and those efforts paid off. Thank you to everyone who made time to help this campaign cross the finish line. We didn't win Dane County but we helped win Wisconsin. A couple percentage points in Dane County really can make all the difference. In the previous Wisconsin Supreme Court race, Dane County finished with 19% of the vote. This spring we finished with 21%. Yes, Dane County turned out even more Democrat voters than last time but we kept pace and improved our percentage of the vote. That two percent meant about 6,400 votes more for Judge Hagedorn this year. If that doesn't sound like a big number, look at the margin of victory. I can't express how grateful we are to everyone who came out to write postcards, knock doors, put up signs, work the polls, and make phone calls for Judge Hagedorn. We should also thank David Blaska for running a good campaign for Madison School Board too. There is no doubt in my mind that his being on the ballot helped with those numbers too. Let's keep moving forward and do it again in 2020! 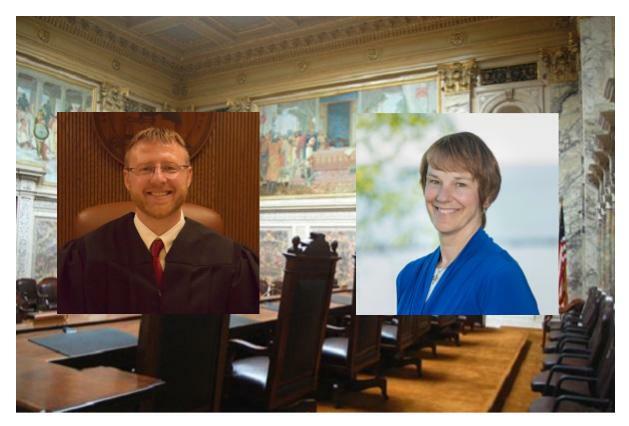 [Madison, WI] – Over the last few weeks, Supreme Court candidate Judge Brian Hagedorn has come under fire from his opponent Lisa Neubauer, the Liberal Left, and the media because he spoke publicly about his faith and pro-life values. The Constitution does not have a religious test for public office, yet Lisa Neubauer and her liberal allies have tried to center this entire election around Judge Hagedorn’s faith. Pastor Jerome Smith explains why this type of discrimination and intolerance against religious freedoms has no place in this race. Listen to candidate Brian Hagedorn discuss the media's attacks on his Christian faith. MADISON — In a ruling last week in favor of Lake Superior property owners, the Wisconsin Supreme Court checked the overreach of the oft-overreaching Wisconsin Department of Natural Resources. The Supreme Court reversed the circuit and appeals court decisions, finding the DNR “could not reserve to itself the authority to amend the Myers’ permit” despite earlier conditions placed on it. The 6-1 decision is a big victory for property rights, but perhaps more significantly the court reaffirmed that it will no longer defer to state agencies on matters of law. Philip and Terrie Myers spent a lot of time and money litigating a case in which the DNR decided to amend the Myers’ building permit more than a decade after granting the couple approval to build a pier at their waterfront property on Lake Superior. They appealed two lower court rulings that sided with the government’s claim that the DNR had the authority to amend the permit. Matthew Biegert, attorney for the plaintiffs, told MacIver News Service the Myers’ are gratified by the ruling, which ends a long, frustrating legal battle. The couple’s legal journey goes back to December 1999, when they applied for a permit to build a rock-filled pier at their waterfront property on Lake Superior’s Madeline Island, according to court documents.